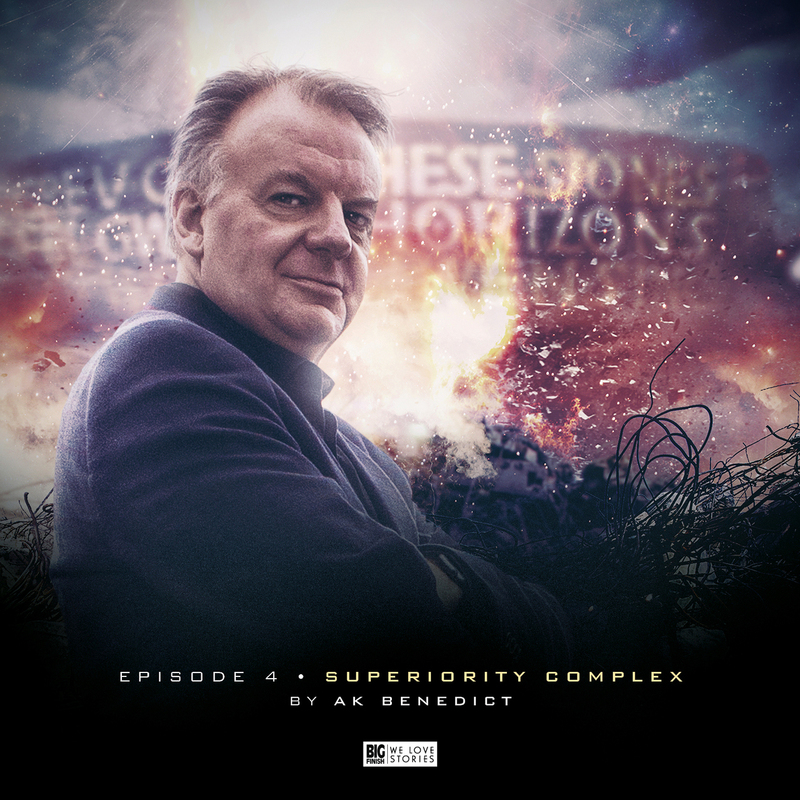 The father of audio Torchwood writes the story that gets this set off on a cracking pace. Reporter Tyler Steel comes to Cardiff from London in search of a story about immigrants being murdered by the so called “Red Doors” movement. What he finds instead is Torchwood & immigrants from a lot further afield. Captain Jack and his new team are soon putting Tyler through his paces to see if he could be part of the new team. Straight away this story does a great job of setting the scene. We see how Torchwood is operating from a weekend position and no funding. As opposed to it being their city, where they are in the know, the aliens have used Torchwood’s absence to take over and not the nice aliens either. 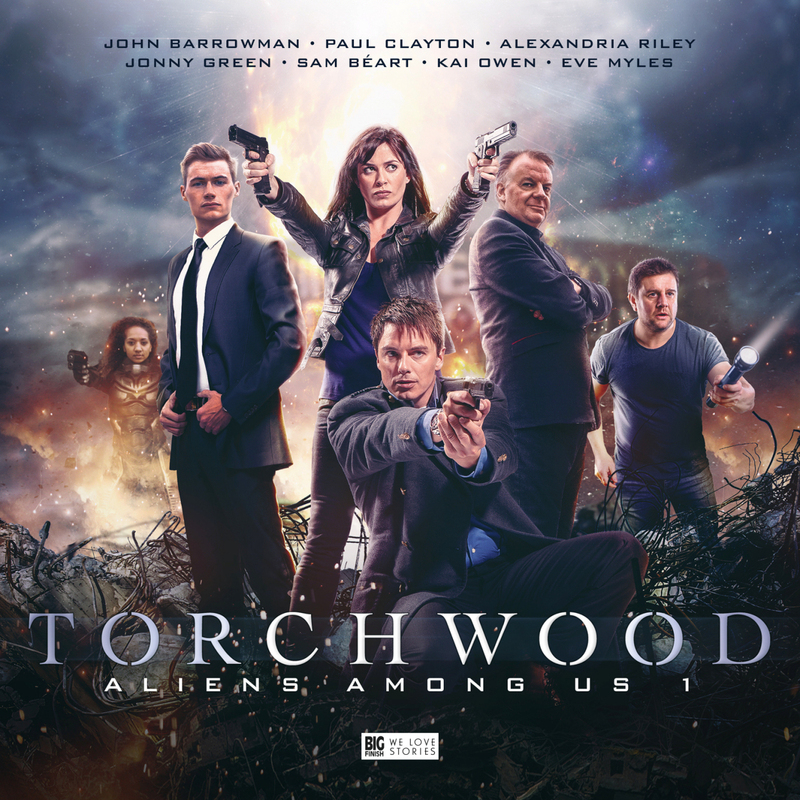 New characters such as Mr Colchester (Paul Clayton), Tyler (Johnny Green) & a character who we don’t find out the identity of till the end are all excellent and all shape a real new team that feels enough like Torchwood whilst also hitting their own groove. After a tip from Tyler, Mr Colchester & Gwen are sent to investigate a hen party which is suspected to be for an alien family. But what is this family and the Mother of the bride, Ro-Jedda (Rachel Atkins) really up to? The paring of Colchester & Gwen is a real treat throughout this set. Colchester is one of my favourite new characters. He takes up some of the mantle of Ianto, but is certainly his own character. It’s also nice to get to know Gwen again, for the first time, sounding somewhat different as she does here. This is also a nice way of getting to know our enemy for this set a little better. 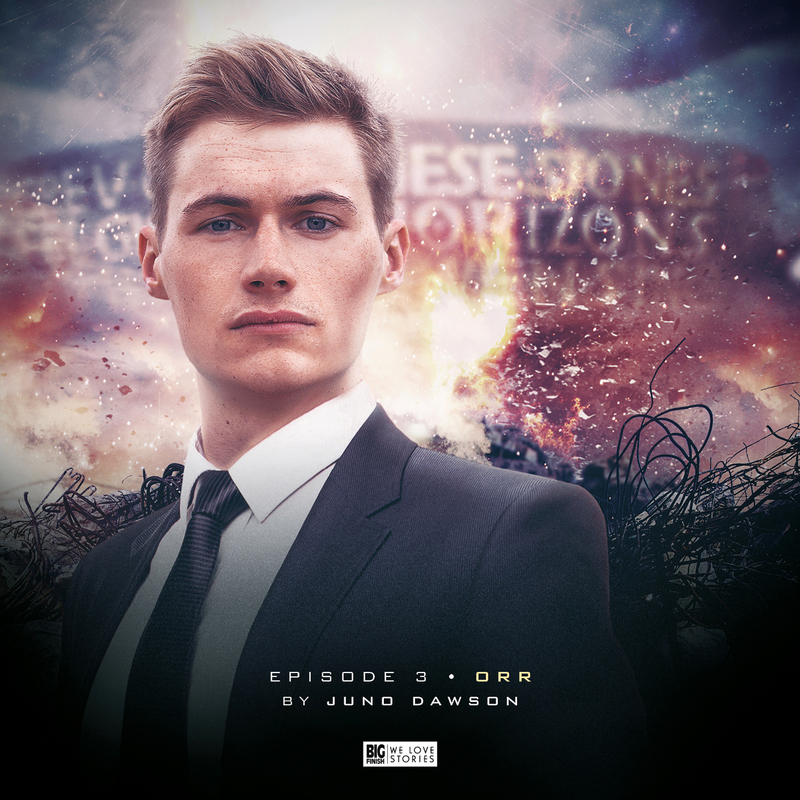 Juno Dawson returns to Torchwood to pen the 3rd fantastic script in this set. Orr is generically programmed to become the person, species and anything else you desire the most. Unfortunately she’s also set to explode. Who knows which quality will be more dangerous for the Torchwood team? Orr (Sam Béart) is a wonderful creation and instantly likeable. How disempowering to have someone who has to be what other people want you to be and nothing of themselves. Her payment is a collar set to go off at any minute. Barrowman is particularly strong in this story too. He gets to play his usually innuendo ridden self, but holding back so as not to give too much of his desires away and reveal how vulnerable seeing the true person he misses the most would make him. A new 7-star hotel has opened in Cardiff, just for aliens, where the human staff are treated as slaves. So when the aliens living there start dying it’s hard to tell who might want them dead the most. Orr is sent in by Torchwood to investigate, with the rest of the gang looking into it behind the scenes. But when Orr starts changing to add parts she has never had before (even with all the desires she has changed to fit) the true murderer turns out to be the last one they would expect. This is a really nice story to end the set on and a good cementing of Orr into the team. I’d say more, but this is one best left unspoiled. SPOILERS ok, fair warned to get into this a bit more spoilers will happen. The whole story line with fake Gwen and the real one trapped in her own body is great. 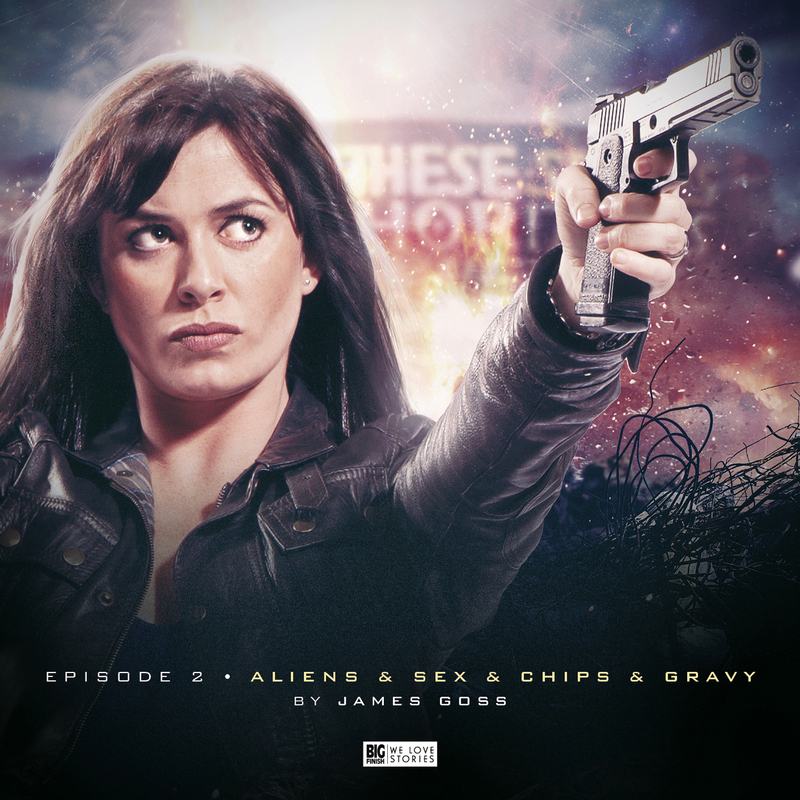 After hearing a year or so ago that Eve Myles wasn’t planning on returning to the role, when I first heard the other voice playing the part I was worried they had recast and just got permission to use her likeness; but I had hoped they wouldn’t. Having said that the lady who they have cast in her place (sorry, they don’t seem to list her in the credits online to avoid spoilers, so I can’t credit her right now) is great and gives us a new Gwen both like the character we know but with a few new wrinkles. It’s intriguing that the character seems to be doing the work of Torchwood for real, but has taken over Gwen’s body. Tyler is another character that you don’t know where it is going. He doesn’t look like he will join the team, but by the end of the set you are wondering which side he might end up on between Torchwood and the Aliens. And the alien threat is so wonderful and insidious and really serves to highlight the control Torchwood has lost. The writing, acting and direction from Scott Handcock are all perfect. You can clearly see the hand of the new Torchwood audios and of Russell T Davies who they consulted for this new set. 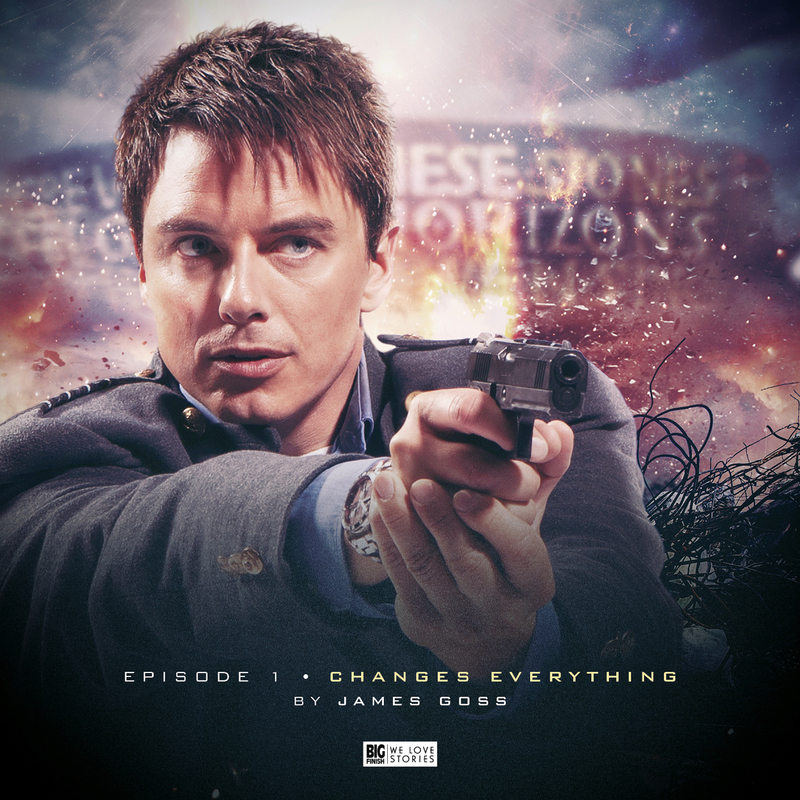 It’s the perfect mix of all versions of Torchwood we know and love.